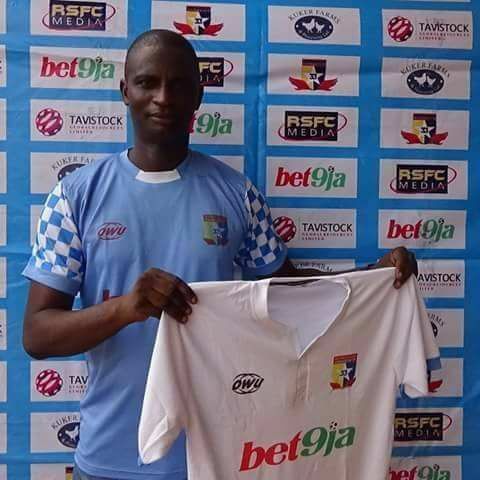 Fatai Osho has gone through three match days since his appointment at Remo Stars. However, the latest gaffer is still in search of his first win in the top flight. naijaleague.com.ng chronicles his three-match days at the club. It’s the dream of every ambitious manager to work at the top flight, but achieving success is another thing entirely. Osho’s return to Remo Stars, a team he coached in the lower division was well heralded. With the exit of Nduka Ugbade and Daniel Ogunmodede’s inability to pick a win in consecutive matches away and in front of the fans, Osho’s return was inevitable. Sources close to the team reveal there was previous contact with Osho. However, after three matches in the top flight, Osho, is still in search of his first win. Lobi Stars prevented Osho from starting on a winning note on his top flight debut as Tony Okpotu cancelled Victor Mbaoma’s opener, on match day nine. A road trip draw on match day 10 followed in Ibadan where Mbaoma was also on the scoring sheet. The Ibadan trip produced Osho’s first away point. Another Mbaoma goal gave ‘The Sky Blue Stars’ the lead on match day 11 against star-studded Pillars. However, at a time the home fans were preparing for the victory party, Pillars’ captain on match day, Rabiu Ali, produced an audacious goal to ensure both sides shared points. Ali’s goal denied Osho a chance to celebrate his first victory. Remo Stars captain, Victor Mbaoma, is fast becoming the club’s Mr. Consistency after scoring his sixth goal to join MFM’s Steven Odey as joint-top scorers in the top flight. Mbaoma has scored three goals in his team’s last three matches against Lobi Stars, Shooting Stars and Pillars to underscore his importance to the team. Football is team work and Mbaoma requires assistance from his teammates to boost their survival. Despite scoring his sixth goal against Pillars to become joint-top scorer with MFM’s Steven Odey, Mbaoma left the pitch unhappy. “We lost concentration and allowed Pillars score to earn a point here”, he told naijaleague.com.ng after the match. The battle ahead is even tougher as Osho takes his wards to Lagos for a tantalizing clash against MFM. Perhaps, this will be the club’s toughest since promotion from the lower division as both sides are packed with a bunch of mobile youngsters. MFM gaffer, Fidelis Ilechukwu, was brave to rest top stars like Sikiru Olatunbosun, joint-top scorer, Steven Odey and enterprising midfielder, Chukwuka Onuwa, during the trip to Katsina United. The highly rated quartet return for Sunday's Derby. 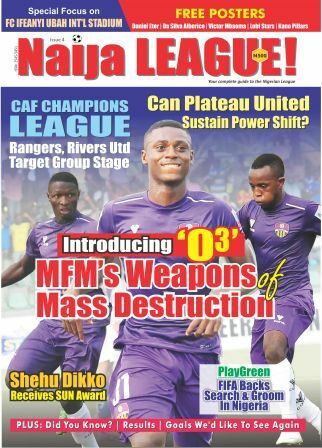 Truth be told, in MFM, they will find a team that has gained momentum and Mbaoma will require the assistance of all to increase his tally and possibly put a smile on Osho’s face. Failure to do so against MFM could spell trouble.